Restylane® is a dermal filler that was originally developed in Sweden and then later introduced into the UK. Restylane® is a safe and natural injectable product that restores fullness and volume to the skin so as to correct facial wrinkles and folds, including naso-labial folds. Restylane is a cosmetic dermal filler comprised of Hyaluronic Acid, which is a natural substance found in the human body. The Hyaluronic acid in Restylane is a crystal-clear gel, known by the trade name of NASHA™ (an acronym for Non-Animal Stabilized Hyaluronic Acid). NASHA is completely bio-compatible with the Hyaluronic Acid within the human body. The Hyaluronic Acid in Restylane is hydrophilic, meaning “water-loving”. Restylane maintains its shape by binding at the molecular level to the moisture in the body. The Hyaluronic Acid degrades over time, and as it does so each molecule binds to increasingly more water. In this way the same volume can be maintained with less hyaluronic acid. This ability of hyaluronic acid to bind to water is what helps provide long lasting results. Restylane is free from animal proteins, which is unlike hyaluronic acids derived from roosters and also bovine-based collagen products. This fact limits any risk of animal-based disease transmission or the development of allergic reactions to animal proteins which might otherwise occur. 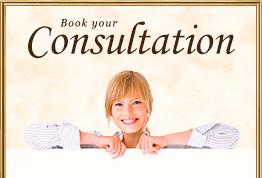 A treatment with Restylane is a very quick and straightforward process. The treatment can be made immediately, without the need for a prior skin test, and it takes about 15 minutes overall. Restylane is injected with a very small needle below the skin. The result of the treatment is immediate. Before the Treatment: One week prior to the treatment, if you are taking high doses of Vitamin E, aspirin or other non-steroidal anti-inflammatory medications, such as ibuprofen, these should be stopped. Such products can increase bruising and bleeding in the region of the injection. Although anaesthetic is not needed, your healthcare practitioner may employ a topical or injectable anaesthetic in order to first numb the treatment zone. The procedure: Restylane is introduced directly into the skin in very small amounts by an extremely fine needle. This produces minimal discomfort. 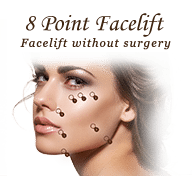 The procedure is very straightforward and the results are practically instantaneous. Following the procedure: There is minimal recovery or downtime following treatment with Restylane. However for the first 24 hours following the treatment, strenuous exercise, and excessive exposure to sun and and to heat should be avoided. Consuming alcoholic drinks should also be avoided so as to to help reduce to a minimum the risks of temporary redness, swelling and/or itching in the region of the treatment zone. Following Restylane treatment, it is possible that some temporary injection-related reactions might occur. These include the possibility of redness, pain, firmness, swelling, and bumps. However studies indicate that any such reactions are typically mild to moderate in nature and should clear up on their own in a week or less. If patients do experience swelling at the site of the injection, relief can be provided by the application of an ice pack for a short period. Results: An immediate improvement in the treated regions should be seen. 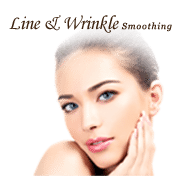 Most patients require only one treatment in order to achieve optimal smoothing of wrinkles. The results typically last for between 4 to 6 months. However results vary from patient to patient and it is important for patients to understand that correction is temporary. Additional touch-up treatments may be needed so as to achieve and maintain best results. Whilst the Restylane filler range is specifically created to replace volume where it has been lost through the aging process, at Mr Rezai’s practice we also offer Skin Revitalisation employing a course of Restylane skin boosters, such as Restylane Vital™ and Restylane Vital Light™ injector pen to hydrate from within, so as to treat the overall condition of a patient’s skin.